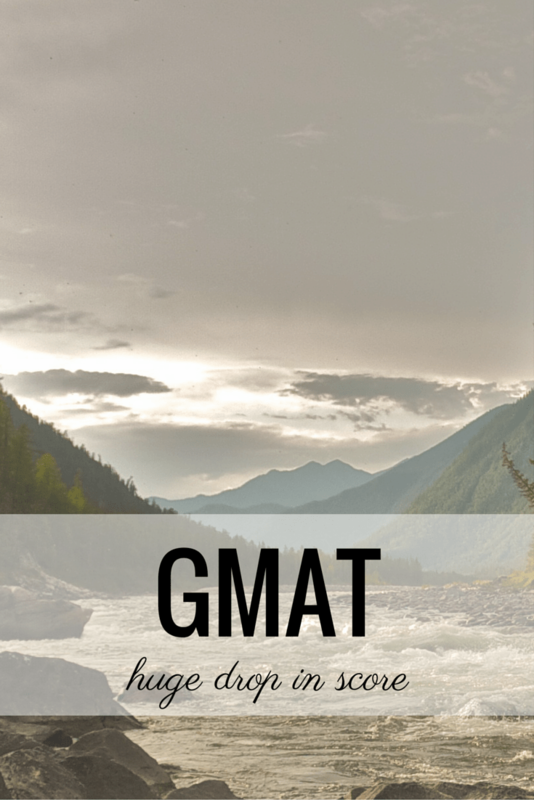 Ask Kate: GMAT Score Dropped After Retake. Should I do Another Retake? Thank you very much for your feedback. I am a European candidate and my target schools are Booth, Haas, Kellogg, Sloan and Stern. I have taken the test twice. I am obviously concerned with the V26, as I never scored such low verbal and total scores! Do you think I should retake again? If possible, I would like to focus on getting a good score in the Toefl and acing the essays. However, if required, I am of course willing to study harder and retake again in order to get a balanced score. I have degrees in business management and law and 4 years of experience (2 in london) in the strategy & development team of a leading industrial company. So that score profile is a bit too crazy. You don’t need to retake, but you do want to keep the attention on the 1st test. I would not mention the 2nd test. No one cares about your IR score (really). It isn’t helping you, but it falls into the category of, “not good but, so what.” However, verbal of 26 . . . holy cow that’s bad. Really, you want to avoid discussing that. I have not seen a student go from a legitimate 41 in V to 26. So unfortunately you showing a 26 makes me think something is really wrong with your first test. If I loved you as a candidate at my school, I might look at your AWA – they can do that – but chances are I’d just toss your application. If you have time to sit for another test, do. You shouldn’t need to study that much more if your ability level is Q 45+, V41. If that second test was just a really bad day, you should be able to clear 47+Q and 38+V with a now improved IR. Quality of time is more important than quantity. Good luck! 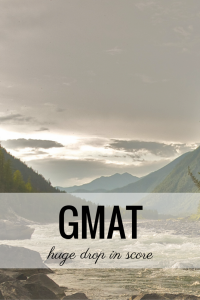 Ask Kate: Will Better GMAT Score Land a Better Job?